Feast on the best barbecue in the region, all while supporting restaurant workers in crisis. 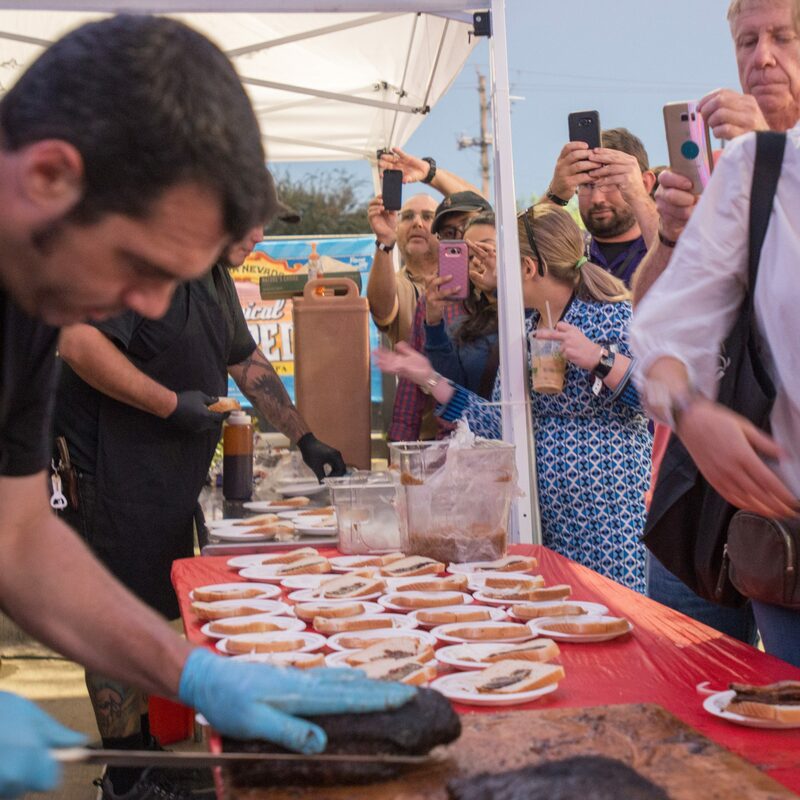 On Sunday, September 30, the fourth annual Southern Smoke Festival kicks off in Houston, bringing together the country's top chefs to cook, eat, and hang out for some excellent causes. This weekend, chefs like Daniela Soto-Innes, Chris Bianco, Billy Durney, Vivian Howard, and Edouardo Jordan descending upon Houston for the event, which will raise money for Southern Smoke's Emergency Relief Fund, a charity that helps restaurant workers get back on their feet after crises, and the MS Society. 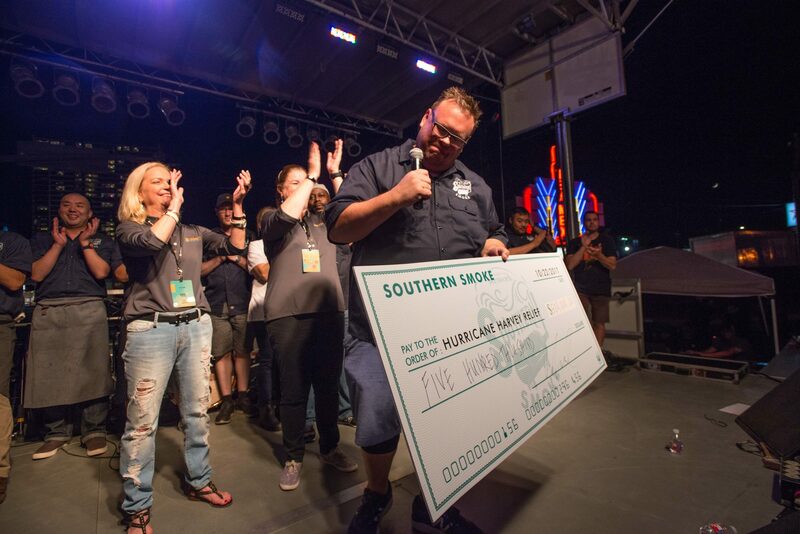 Chef Chris Shepherd launched Southern Smoke in 2015, after learning that his friend and former sommelier Antonio Gianola had been diagnosed with multiple sclerosis; since, the organization has raised $454,000 for the MS Society. In 2017, Southern Smoke expanded its scope to help people in the restaurant industry affected by Hurricane Harvey, donating $501,000 to 139 people in need, according to their website. "Unfortunately, it’s very common in our industry not to have insurance, not to have a safety net," Shepherd tells Food & Wine. "We saw that with Harvey, but it happens year-round. So we accept applications year round. Are you having medical issues and need help with bills? We got you. You’re going through a tough time and need funds for counseling? We got you. You were in a car accident and need help with repairs? We got you. It’s about taking care of our own." The chef/owner of Underbelly Hospitality admits he never thought they'd be able to raise and donate more than a million dollars, but he's found that the support in Houston and around the country has been staggering. "We started a foundation to help, and my staff, the community, my friends from around the country have not only supported but stepped up to help us do the work," said Shepherd. "It’s a really remarkable thing." And: The food this weekend will be excellent. See below for what the all-star chefs will be cooking. Southern Smoke Festival, September 30, 2018, 4 - 8 p.m. (3 p.m. VIP entrance.) General admission tickets cost $200.